Everyone knows some ghosts are helpful spirits, they may even help with math! 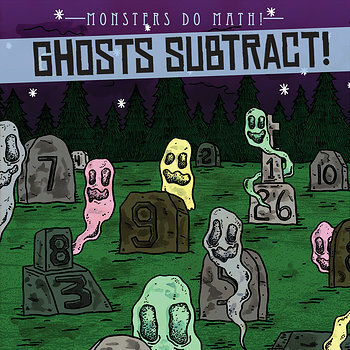 In this high-interest volume, a unique mix of eerie info and math exercises, young mathematicians can practice their subtraction skills using illustrated ghost models as well as hone their mental math strategies. The comprehensible text provides valuable hints that readers can apply to all kinds of subtraction equations they may encounter. Fact boxes about ghosts and eerie images will attract even reluctant readers, and an answer key provides opportunities for self-assessment. Subtraction has never been spookier, or more fun.